We previously reported on June 19 that Pacific Beach coffee house and breakfast destination Cafe 976 had announced that it will close for business this week after more than 20 years of service in the beachside neighborhood. We found out that the restaurant will undergo a renovation to be reopened by the end of July. 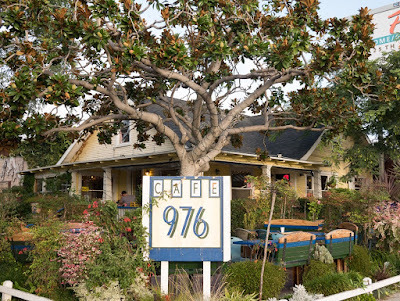 Located in a 1920s era cottage on the corner of Cass & Felspar, Cafe 976 is an institution in the Pacific Beach neighborhood that has been enticing San Diegans with its coffee drinks, rustic fare and beautiful, rose-filled patio for more than two decades. Over the course of its nearly century-long existence the space has gone from being a home to a school to an antique store, until finally becoming a coffee shop in 1993. We have spent many an afternoon plugging away on our laptops within the gardens of Cafe 976. We grew our business from within its walls. It was the first place we ever enjoyed an acai bowl when we first moved to San Diego. We walk past it every day and enjoy looking into the ever-blossoming gardens. 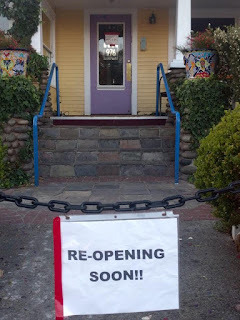 So we were truly sad to hear of it's closing, but we found out that the space is being renovated and upgraded with brand new fixtures and appliances and is anticipated to reopen by the end of July under new management with the same menu and most of the staff returning. It was previously reported, based on conversations with employees, that Cafe 976 would be closing for good and was up for sale. We even saw the "For Sale" signs up ourselves. Cass Street Real Estate Holdings LLC, led by local developer Michael Turk, purchased the property in 2015. Although the space was initially listed for sale, we were informed by the owners that they are no longer looking to sell the property. We are not sure what happened to give cause the owners to have a change of heart. Cafe 976 is located at 976 Felspar Street in San Diego's Pacific Beach neighborhood.